"Call of Duty: Modern Warfare 2," 2009's best-selling console title, was illegally downloaded millions of times. (CNN) -- Although as old as gaming itself, software piracy has been making headlines lately, seen by many as a growing danger to a business just coming to grips with the transition to digital. But amidst a growing call to stem the bleeding, game makers may be missing the greatest opportunity to connect with players that they've ever witnessed. Sony's PlayStation 3 has recently been the subject of an industry outcry as the latest system to fall victim to enterprising thieves. Credit the launch of the PS Jailbreak, a plug-and-play USB device that lets you copy retail games to, and play them from, the system's hard drive. New strategy game "Elemental: War of Magic" has also sparked debate by promising to forego digital rights management, restrictive protection schemes that inhibit the copying and distribution of electronic data. Complaints over used game sales, which developers don't see a penny from, are further fueling the uproar, causing some insiders to draw parallels between the practices. THQ's Cory Ledesma recently told ComputerAndVideoGames.com that "we get cheated" when titles are bought secondhand, while popular online comic Penny Arcade likened used sales to a "parallel economy" from which only retailers benefit. But what's interesting about these issues isn't that they're suddenly garnering attention. It's that they're the same problems that have plagued the industry since the '80s, when computing enthusiasts casually exchanged floppy disks containing the latest software releases. What's changed is simply the scale of the problem and the increasingly desperate measures publishers are taking to halt piracy's spread. For software creators, stemming the tide of online downloads is a mounting concern. In the old days, precious few could access "elite" bulletin board system dial-ups or FTP online download sites full of pirated software. Today, the Internet provides millions with instant access to new, and in some cases unreleased, titles for all game systems on demand. 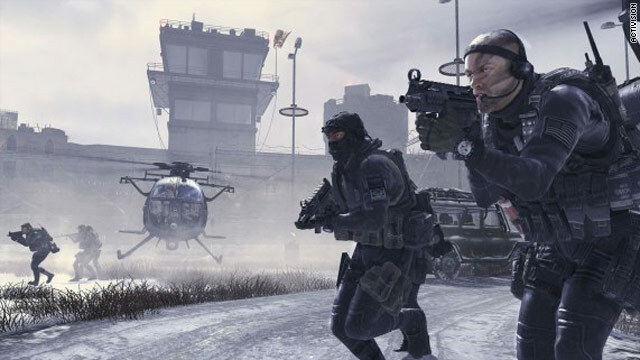 Consider the case of "Call of Duty: Modern Warfare 2," 2009's best-selling console title, of which 11.86 million copies were purchased, according to the Top Global Markets sales report. Simultaneously, download tracking site TorrentFreak claims that 4.1 million copies were illegally downloaded for the PC. Countless developers have voiced their concerns and steadily shifted away from desktop platforms as a result. But console games are no less vulnerable, with titles like "Punch-Out!!!" for the Wii and "Super Street Fighter IV" for Xbox 360 also popular piracy targets. Nintendo's even gone so far as to blame devices like the R4, a flash cartridge capable of holding multiple pirated Nintendo DS games, for a whopping 50-percent sales drop of handheld titles across Europe. But despite hefty penalties, like the $1.5 million an Australian man was fined for illegally copying and uploading "New Super Mario Bros." for Wii to the internet, the problem continues to grow. Worse, the punishments for all involved may not fit the virtual crimes. Many game publishers' response has been to implement increasingly draconian copy protection measures, such as a limited number of software installations, the need for online logins or one-time use codes for multiplayer access. UbiSoft's "Silent Hunter V," a submarine simulation released this year, made the game impossible to play unless you are continuously connected to the internet. But thanks to the longstanding arms race between pirates and paranoid software makers, the game was inevitably "cracked," or circumvented. So here's the irony: For game creators, lowering costs and making titles widely available may actually be the solution to stamping out piracy. Consider that social network games such as "FarmVille" and "Restaurant City," which cost nothing to play unless you choose to buy virtual extras, are drawing audiences in the tens of millions. Complementary online worlds like "Free Realms" are also signing up new recruits at a breakneck pace, while others such as "Dungeons & Dragons Online" are enjoying a new lease on life by abandoning monthly subscription fees. Numerous websites, such as Kongregate.com and Newgrounds.com, have also become popular online destinations by offering thousands of titles to play at no cost, right in your Web browser. The lesson these titles teach is simple. Giving games away for less and then offering a range of optional, bite-sized downloadable purchases -- sometimes called microtransactions -- at a variety of prices may be a better deal than demanding a one-time $50 to $60 retail purchase for everyone involved. Likewise, providing free games (or portions thereof) up front, then rewarding those who choose to buy in with a steady stream of high-quality downloadable extras or added adventures, could be a better model. Putting digital diversions in more people's hands and letting them pay what they want, when they want, has the potential to massively expand gaming's reach and profitability. By taking the same approach Google has to online advertising, clever game makers could turn rampant copying of games not only into the sincerest form of flattery but into a workable future. By making games more readily accessible, faster to skim and easier to pass along to friends, game makers may actually be doing more to combat piracy than any lawsuit or fancy technical countermeasure ever could. As for whether they'll actually see the humor in stealing a page from the competition, the jury remains out.